That's right, post anything cool that you found and might want and talk about it in this thread. I found this cool micro pc the other day that I thought was impressive cause it has 512mb of ram and a 30gig harddrive. Although after seeing the price tag I thought I could probably live without it no problem. i've been wanting these for a while. i have a hx4700 too! ipaq + tcpmp = victory! nice choice with the asus R2H btw, it's the only UMPC that caught my eye. but atm, i'm never more than 1hr without my ipaq, never more than 24hr without my laptop, and never more than 1wk without my desktop. so a UMPC wouldn't really have a niche. but, if i get back into photography (ie: if i can fund it) i may get a UMPC, so i can have a portable tether. hey, when you pay $60k for one of those you can at least afford a few extra grand added to your electricity bill. Better yet, you could probably buy your own wind turbine and solar panels. So ecomoni will love you. I was going to post the same thing @_@; It is extremely cute. There is a pink PSP coming too, but I'm not really all interested in that. wow dident even know what was over a terrabyte hmm a petabyte... is that also a taco ? 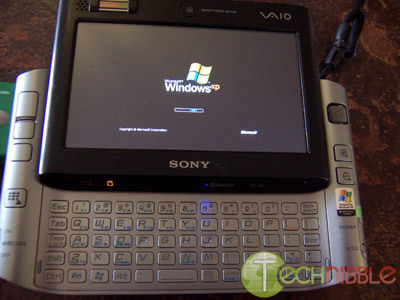 I'd like to have this Vaio with 5 different lids but really bad thing is that it doesn't come with Core 2 duo processor. Drool. I'm going to buy this even if it means -actually, I'm at a loss for words.